This post contains affiliate links. I only use affiliate links for products I personally use and love. This meant that if you purchase a product from the links I provided, I may earn a small commission, at no extra cost to you. Affiliate links are annotated with a ” * “. 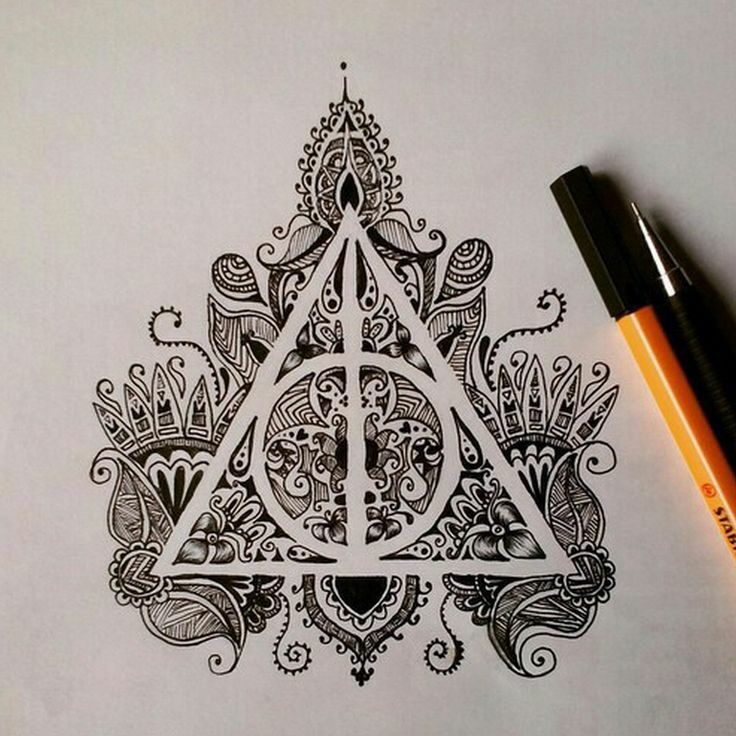 This mandala was inspired by the deathly hallows (harry potter influence here!). This is definitely not an original artwork I created myself, whereas one which I found on Pinterest one fine day. And the minute I saw that gorgeous mandala, I saved it right away and told myself: “I need to recreate this on my black sketchbook!”. I’m obsessed with this uni-ball Signo White UM-120AC* pen (the one shown above!) which I used for all my black paper works! It is a gel pen and it’s ink flows so nicely on the paper without any breakages in between. Also, the white color is really opaque on the black paper which makes it even greater! Definitely one of my most favorite pens for my artworks! So, if you would like to get one of my favorite uni-ball Signo White UM-120AC pen, you can click the link here*!